MashButtons: Disney unveals their collector's editions, I want! Disney unveals their collector's editions, I want! 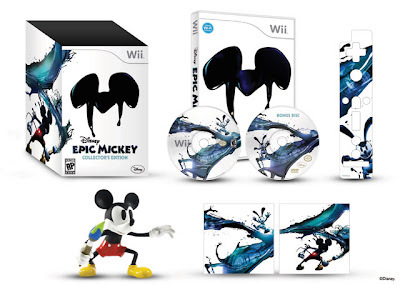 Disney has released the big guns today by announcing collector's editions for both of their upcoming titles, Epic Mickey and Tron: Evolution, showing of the large amounts of swag for the Disney fanboy in everyone. Below is a glimpse and list as to what to expect from each.